With a combination of stunning beauty , an angelic soprano voice, and tremendous agility on stage, Mbilia Bel stole the hearts of music fans all over the continent. Her heavenly voice moved those who listened to her slow jams in tears of joy. Her exceptional dancing skills left audicences roaring with delight, and lit up Tabu Ley’s already famous stage show. She begun her performing career at the tender age of seventeen singing backup for Abeti Masikini and later with Sam Mangwana. She burst into the music scene when she joined Tabu ley’s Afrisa International in 1981. The duo of Tabu ley and Mbilia Bel was an instant hit. The combination of Tabu Ley’s composing genius and Mbilia Bel’s heavenly voice resulted in Afrisa records literally flying off the shelves. Her first song with Afrisa released in early 1982 was Mpeve Ya Longo, which means Holy Spirit in Kikongo.It was a moving song about spousal abuse. In the song, Mbilia plays the part of a woman who has been abandoned by her husband and has to raise the children by herself. The song received rave reviews especially among women in Zaire. Concerts of Afrisa were now a huge draw.Mbilia Bel was always the main attraction , and when she made an appearance , the crowds often went into a frenzy. Mbilia Bel was a talented stage performer. She often tantalized crowds with her exceptional dancing ability, when she joined the Rocherreautes (dancers) in their dance routine. Tabu Ley who had revolutionized stage show when he introduced the Rocherreauttes in the early eighties, was now the undisputed king of stage show. By the mid eighties, Mbilia bel had officially married Tabu Ley and was now a refined and mature performer. Her songs continued to dominate the scene. Among them was Mobali na ngai wana , which roughly translates to “this husband of mine”. The song was composed by Tabu Ley and Roger Izeidi, and is an adaptation of a Kikongo traditional song. 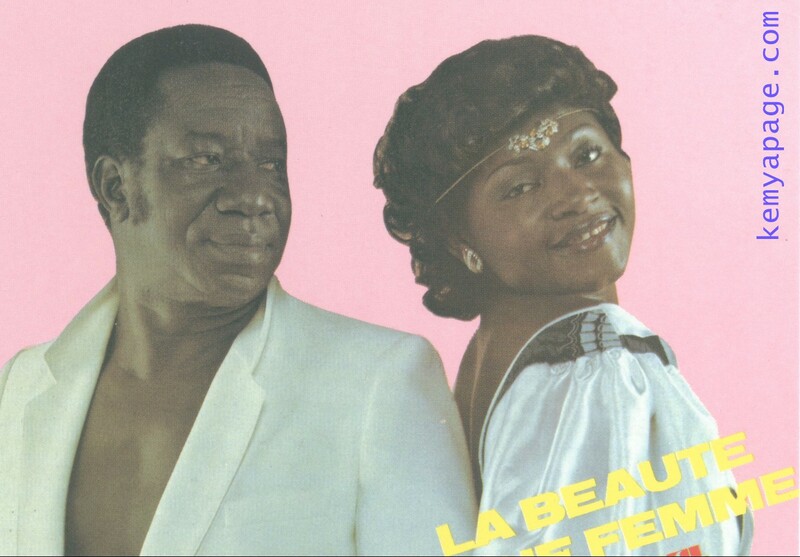 In the song, Mbilia Bel praises her husband as being handsome and succesful and stresses the fact that even though he has the opportunity to choose from any of Kinshasa’a beautiful women, he chose her. Other songs which blazed the charts during that period include Balle a terre and Bameli soy. Afrisa continued to go from strength to strength. In 1987 Tabu Ley recruited another female artiste to accompany Mbilia Bel. Kishila Ngoyi was here real name , but she was known by her artistic name, Faya Tess. It was against this backdrop that Afrisa embarked on a tour of East Africa that took in Kenya, Tanzania and Rwanda, culminating in the album Nadina, which had Lingala and Kisawahili versions of the song. The tour was well recived by frenzied crowds. Mbilia Bel took centre stage , overshadowing other Afrisa artistes including Ndombe Opetum who had returned from TP OK Jazz. Upon their return to Kinshasa, rumours started surfacing about a rift between Tabu ley and Mbilia Bel. Apparently Mbilia Bel was not too happy about the emergence of Faya Tess, who seemed ready to steal here thunder. Both publicly denied having any problems, but by this time the writing was on the wall. 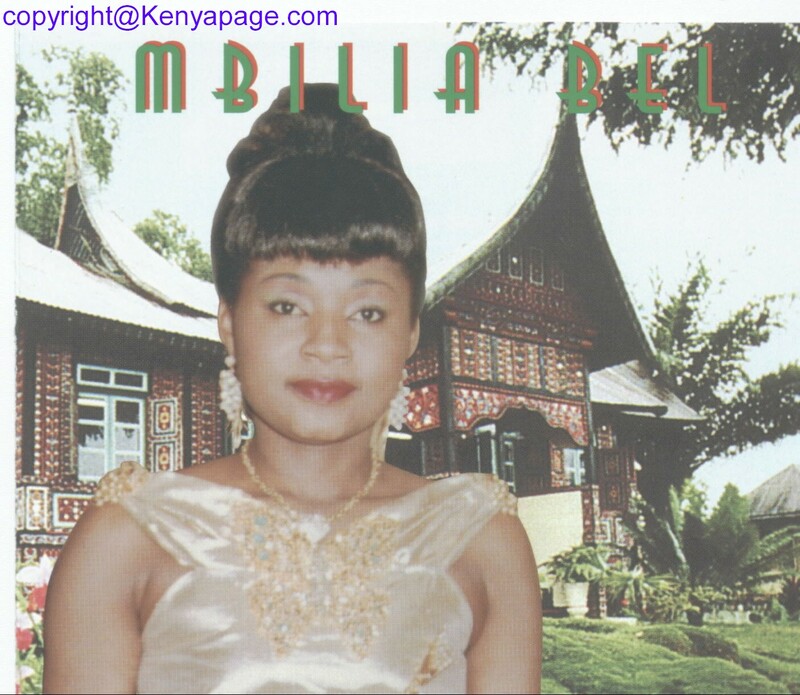 Mbilia bel quit the band late in 1987 to embark on a solo career. She briefly joined with a Gabonese producer in Libreville, before leaving for Paris where she joined with guitarist Rigo “starr” Bamundele. Her first album with Rigo Starr was entitled Phenomene and was a huge success in Kinshasa as well as abroad. Subsequent releases such as Yalowa, Desole and Exploration have met with limited success. Following the departure of Mbilia Bel, the popularity of Afrisa International as a band plumetted substantially. Tabu ley himself seemed to loose inspiration for composing as is evidenced by the substantial reduction in the number of albums released. With the exception of her debut album, Phenomene, Mbilia Bel’s career also took on a downward spiral when she left Afrisa. This entry was posted in African musicians and tagged Afrisa, Lingala, Mbilia Bel, Tabu Ley. Bookmark the permalink. Mbilia Bel is one of the best product from Africa.Her sonorous voice remains charming and among the very best.Congo is a beehive of music talents,even now but the frenzy as in the eighties cannot be equalled. I love Mbilia bel’s nice voice and her unique dancing style. When did she produce mobali nangai wana? I appreciate Mbilia artist work.i love so much due to her performance at that time.Her songs is still hiting the top in my head. Mbilia bell , we love,where are you , we need to honor you, here in Kenya. l haven’t come across any musician who can much you. You ve a special gift. Sing on for ever, Africa’s Song bird,. Sweet heart Mbilia Mboyo Marie Claire, are you still alive? where are you? You are on a wanted list come to zimbabwe this year.queen of Chiunza Village.